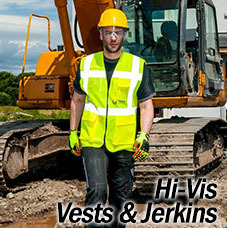 We supply hi vis clothing and accessories from Portwest, Dickies, RTY and other top UK brands. 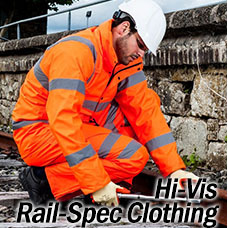 If you work on or near highways or railways it will be essential to wear the correct certificated hi-vis clothing. Increased visibility is useful in a whole host of other applications such as the construction industry, security, warehousing, car parks etc. 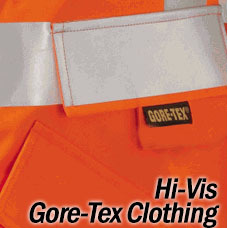 Our Hi Vis Clothing can be printed or embroidered with your logo or name, and many items offer discounts for quantity. 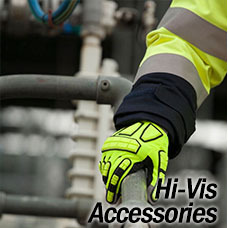 Use the links below to view the hi vis products in each category. 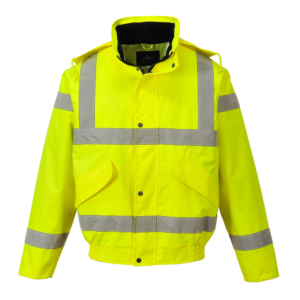 We supply a large and varied range of Hi Vis Jackets in a host of styles and designs to suit every requirement, from top quality manufacturers such as Portwest, Dickies, Black Knight and more. 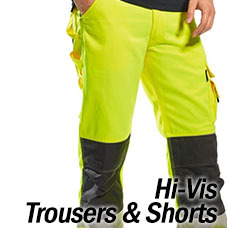 Look no further for your Hi Vis Jackets than HT Hughes. 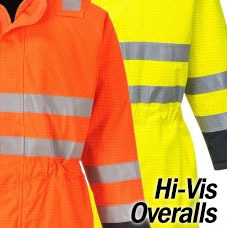 HT Hughes have been supplying hi vis jackets to industry for 90 years and we can advise you on the most suitable hi vis jacket for your requirements. 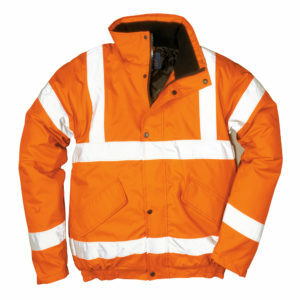 Why not add embroidery or printing to your hi vis jacket? Talk to our friendly sales team today. 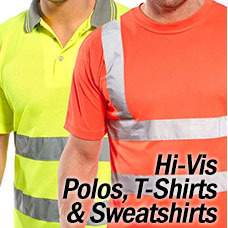 Get your brand out there by adding a company logo to your workwear t-shirts and polo shirts. Also, why not add a name, phone number or web address? In fact, if you can think of it, we can embroider or print it to your t-shirts and polo shirts. Follow the links below to view our most popular t-shirts and polo shirts for embroidering and printing. Our t-shirt printing service is an excellent and affordable way to show off your brand with a printed logo, web address, phone number, your name or anything you can think of! Printed t-shirts are available from as little as £2.64 +vat per t-shirt*. Below are some of our best selling t-shirts for printing. The Fruit of the Loom Value T-Shirt is a massive best seller, tried and tested by many customers. A popular t-shirt from Gildan and perfect for printing. A top quality 100% cotton t-shirt from SOLS. 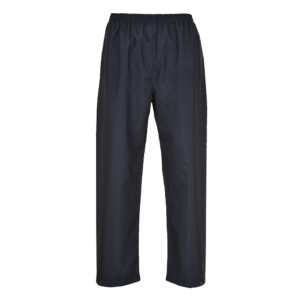 Ideal for workwear or corporate wear, the Portwest Turin t-shirt offers unrivalled comfort. *Prices based on 50 t-shirts with single line printed text on left or right breast. HT Hughes have decades of experience in personalising garments and customising polo shirts and t shirts to help you promote what you do whilst you work. We can add your logo either using our outstanding embroidery service or, if you prefer, we also offer a top quality printing service. So, from a simple left breast logo, to a big, full colour back embroidered or printed design and everything in between, HT Hughes can sort it! Add your web site address, phone number or email address to your T Shirt or Polo Shirt and become a walking advertisement for your business. We offer huge discounts for quantity, so the more you buy, the cheaper the embroidery or printing. 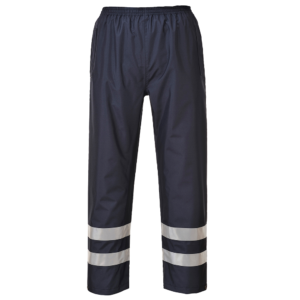 Prices start from as little as £1.09 +vat per garment. It’s getting wet out there! 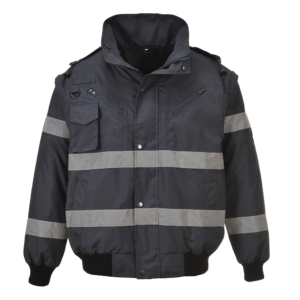 Keep warm, dry and comfortable as you work. 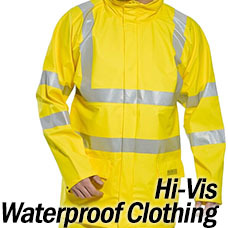 Visit our Waterproof Workwear section at https://www.hthughes.com/product-categ…/waterproof-clothing/ HT Hughes extensive range includes Waterproof Jackets, Trousers, Overalls, Boots and much more. 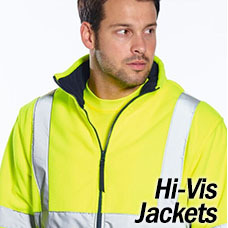 Make sure you are easily spotted, whilst keeping warm in a functional high visibility bomber jacket from HT Hughes Workwear. 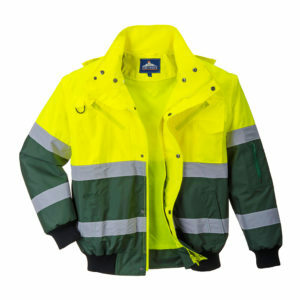 We supply a whole host styles and designs from some of the best Hi-Vis Bomber Jackets manufacturers, such as Portwest and Dickies. 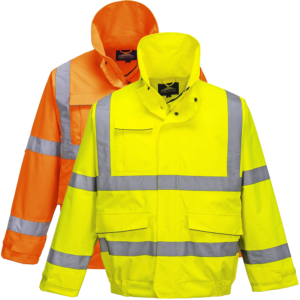 Below is just a small selection of the many Hi-Vis Bomber Jackets we supply. We are offering up to 50% off Jackets, Trousers, Shirts and more in our New Year Sale! 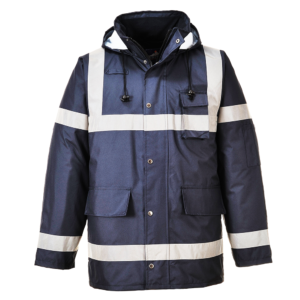 Like the excellent Regatta Omicron II Waterproof Fleece, now from just £31.84. 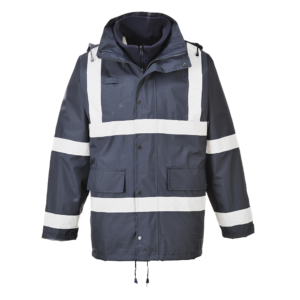 Or, the Regatta Reid Softshell Jacket, now an amazing £20.80. For these offers and much more, visit https://www.hthughes.com/sale/ today and grab a bargain while you can. Taped seams in the liner means the water can’t get in. 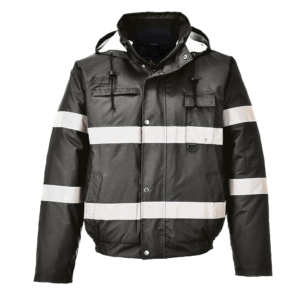 Collar high, full length zip with inner storm flap. Regatta branding on back of collar. 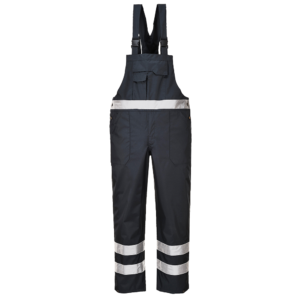 Omicron garment sizes are approximate and for guidance only. 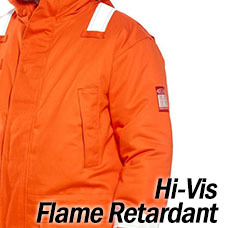 100% polyester 250 series anti-pill Symmetry waterproof fleece. 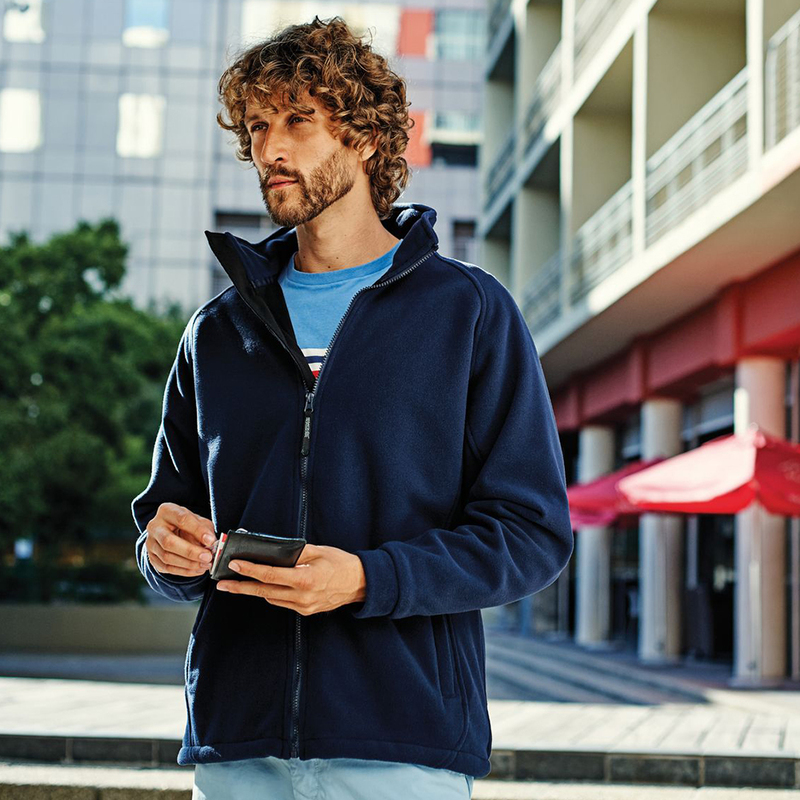 The TRA644 Regatta Omicron Waterproof Fleece Jacket is one of our best selling products – perfectly suitable for embroidery – why not ask us for a quotation for your company, sports club or school logo? We have in-house embroidery workshop with huge experience of making your logo look outstanding and professional. We also have graphics skills to help you create new logos, or use old logos in new ways. 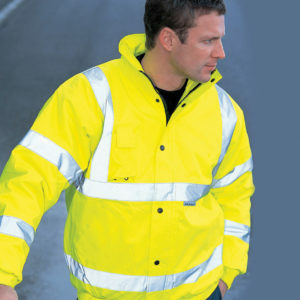 THE IONA RANGE OF ENHANCED VISIBILITY, WATERPROOF AND FUNCTIONAL WORKWEAR FROM PORTWEST. 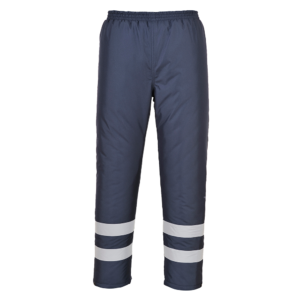 The waterproof garments in this range are certified to the highest waterproof standard, EN343 (Class 3), and are seam taped to ensure protection against the rain.